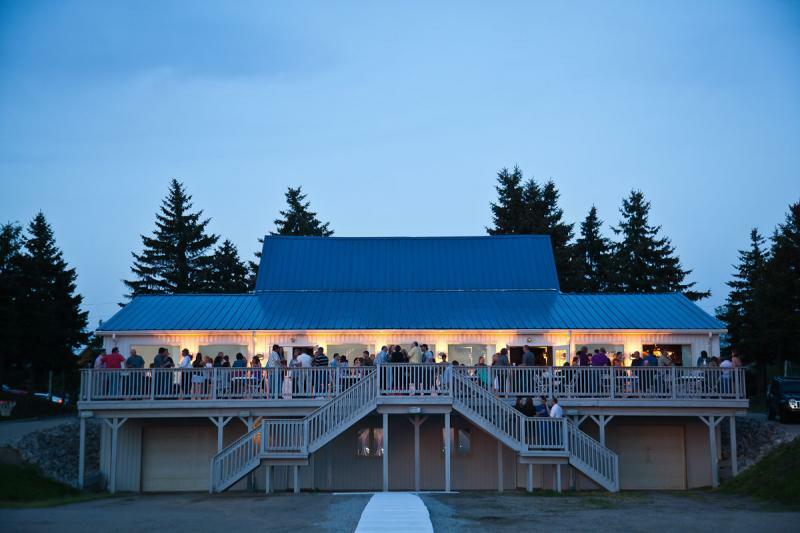 SKYVIEW LODGE is a family owned Community Event Center and Rural Recreation Area that specializes in Wedding Receptions, Wine Tasting Events, Party and Event planning services since 1969. Skyview is conveniently located 20 minutes from Akron or Cleveland. There are hotels located within 10 minutes of Skyview for out of town guests. The historic country chalet lodge was built in 1876. Lofty beams and hard wood floors with windows that face the west, gives the facility a warm and rustic atmosphere. Looking for that soft and elegant look for your wedding. We offer chair covers, centerpieces, overlays, and runners. Check out some of the wonderful colors. Skyview works with several local rental companies to assist our guests in making their event a very special occasion. Have something unique in mind? Just ask and we can refer you to one of our rental specialitists. The 70-ft open air deck overlooks a panoramic view of the west, which is exceptionally beautiful during the fall season. The hall holds up to 200 people.